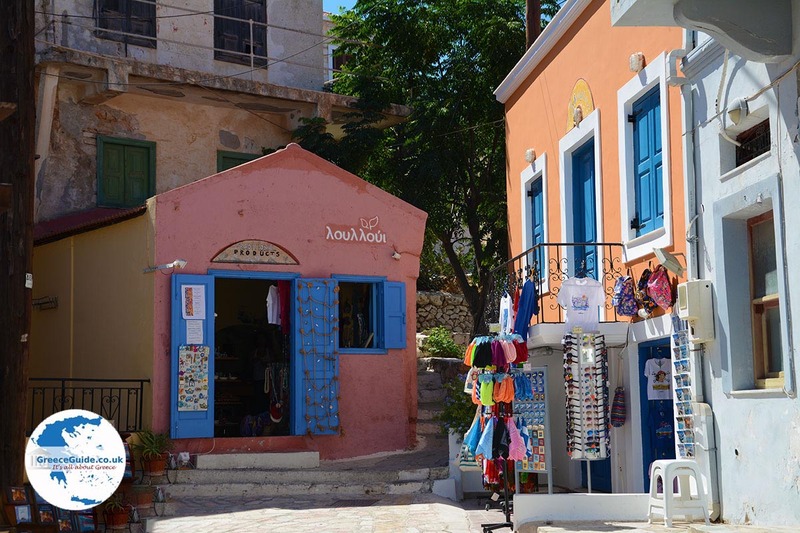 Halki (Chalki). 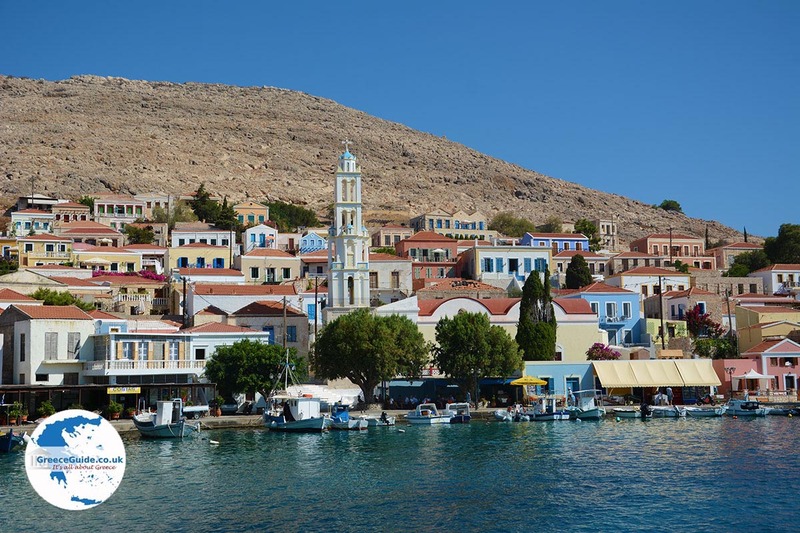 Halki Island is located south of Tilos and west of Rhodes. It has been inhabited since ancient times. We assume it was a prosperous island in ancient times because according to archaeologists many old coins were found here. 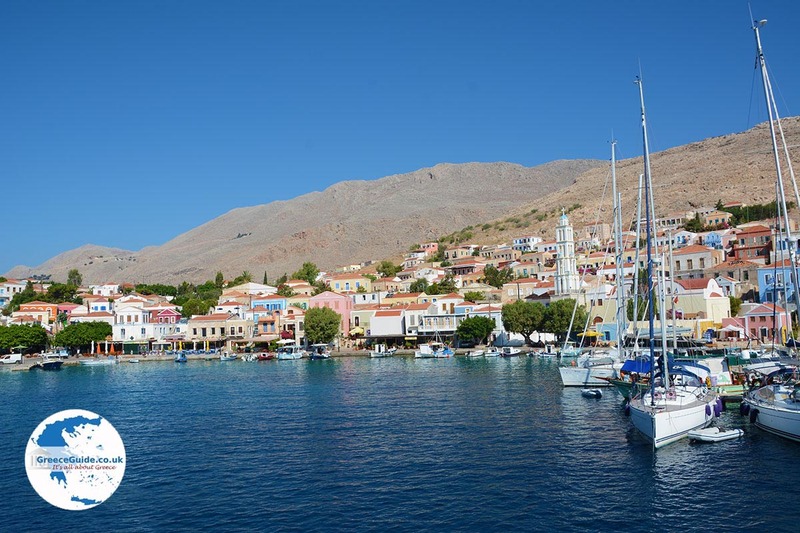 The name Halki is probably derived from the Greek word Halkos, which means copper. 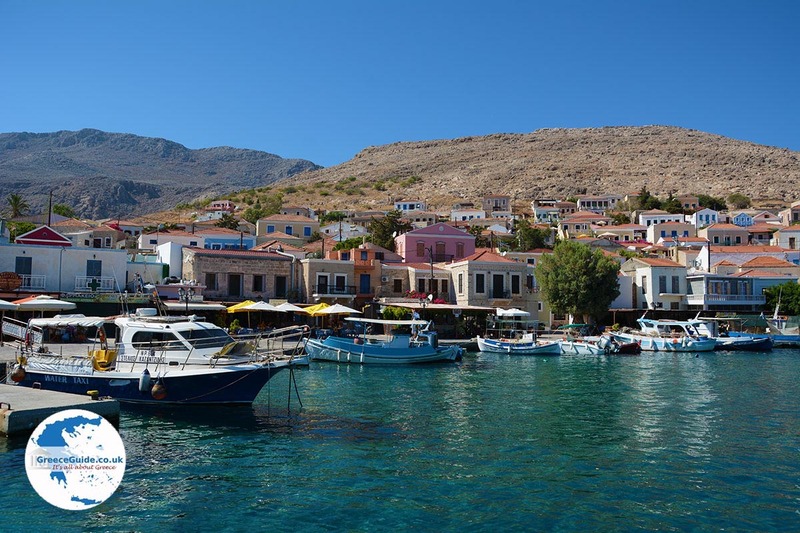 Halki is a small, almost arid, mountainous island. 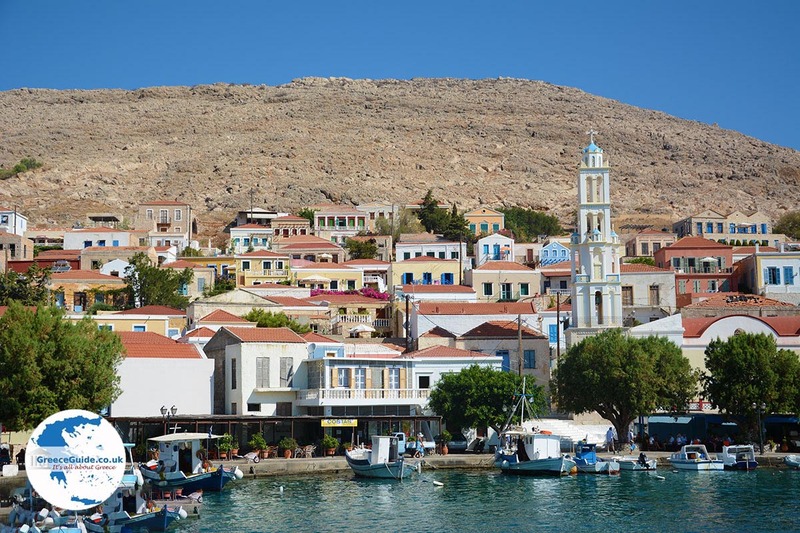 The capital and port is called Halki or Nimborio. This port is your entrance to the island. Nimborio is the main town on the island, moreover, it is the only settlement of significance. It is a very quaint town. 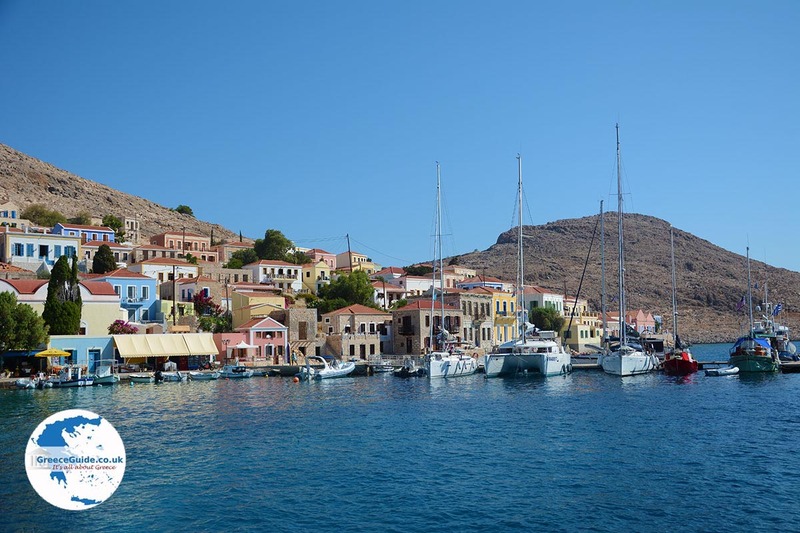 It looks a bit like the bay of Symi, albeit slightly smaller and less green. The beautiful, colorful mansions add evidence to the theory that the island must have been very prosperous in the past. 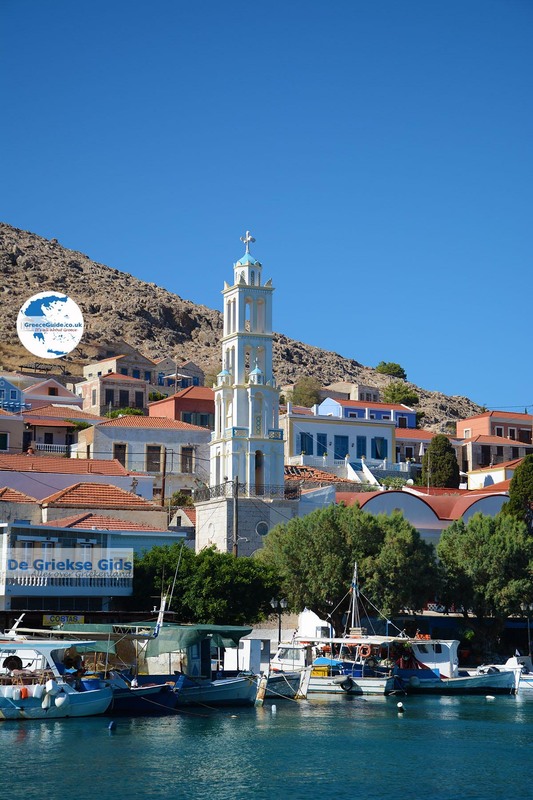 It is worth a visit to the church of Aghios Nikolaos with its magnificent bell tower built in 1861. 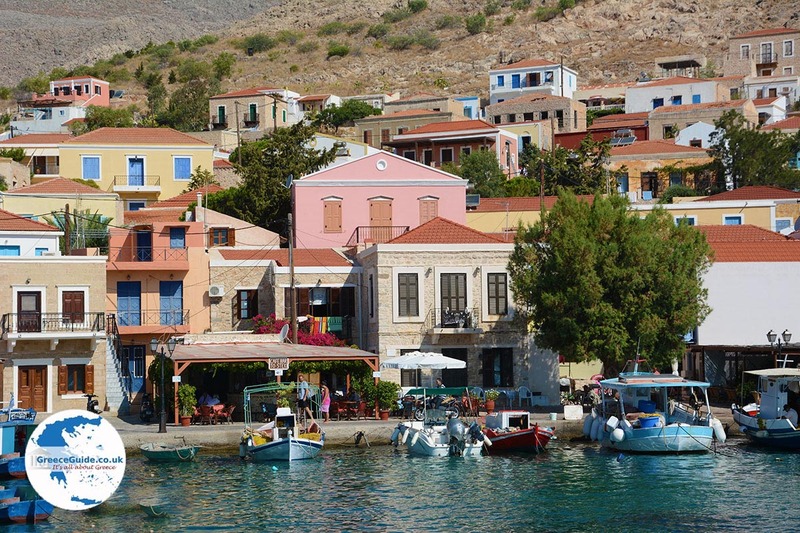 Only 300 permanent residents live on Halki. Most of the inhabitants are engaged in tourism, fishing, sponge fishing and livestock. 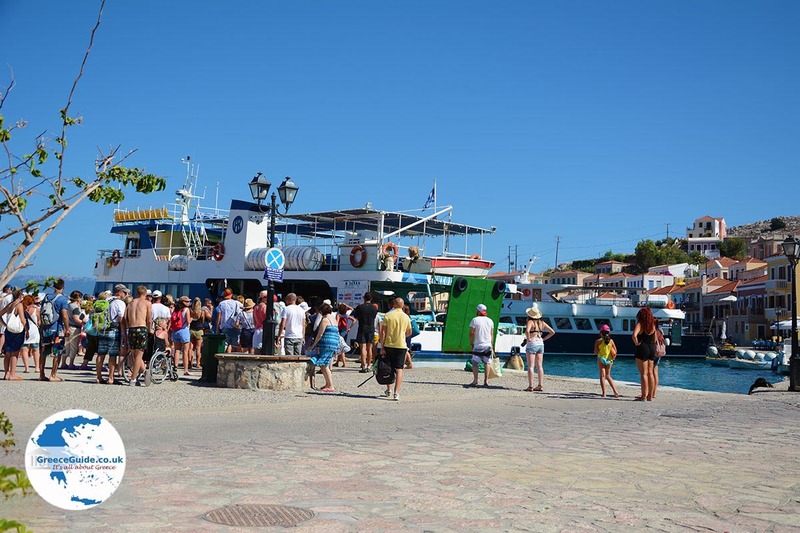 In the summer months the number of residents swells as many emigrants who have their roots on this island, come back to spend their summer holidays. 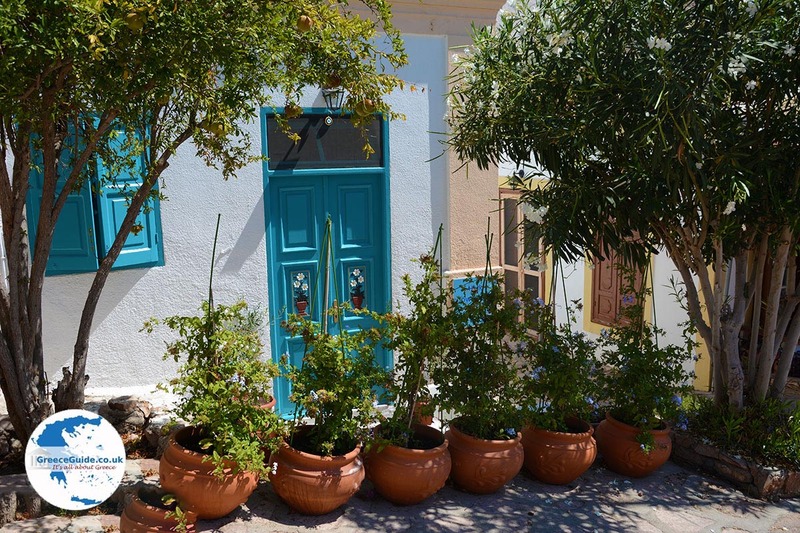 There are not many hotels or other accommodation on the island - the offerings can be very scarce in July and August, and therefore it is a good idea to book in advance. 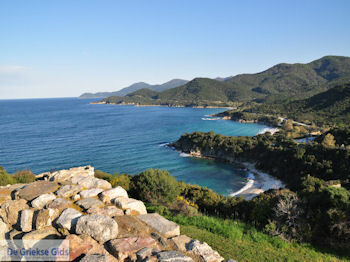 The other settlement on the island, Chora, is located between the hills, just behind the only wooded part of the hill. In the past, it was an impressive place. At its peak there were 4,000 inhabitants, however nowadays it is totally deserted. The area served as a safe location to protect the residents from pirates and other dangers that came from the sea. 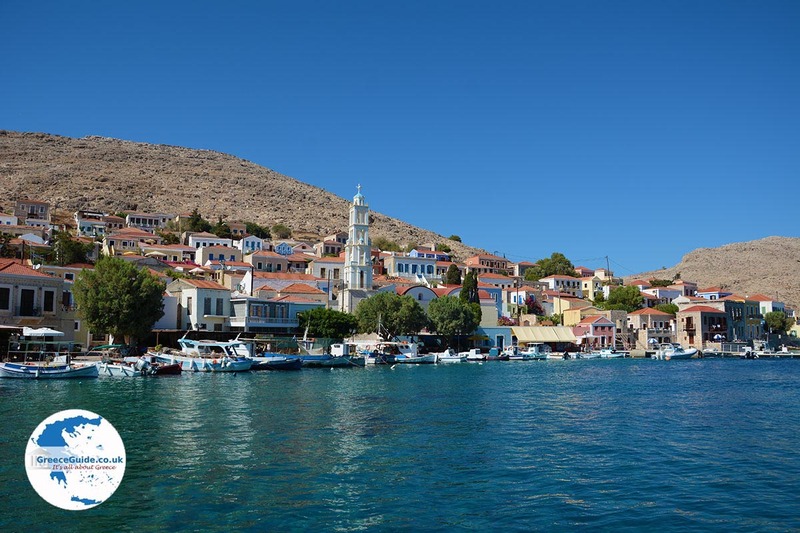 The highest point on Halki is located near Chora at a height of 593 meters (nearly 2,000 ft). 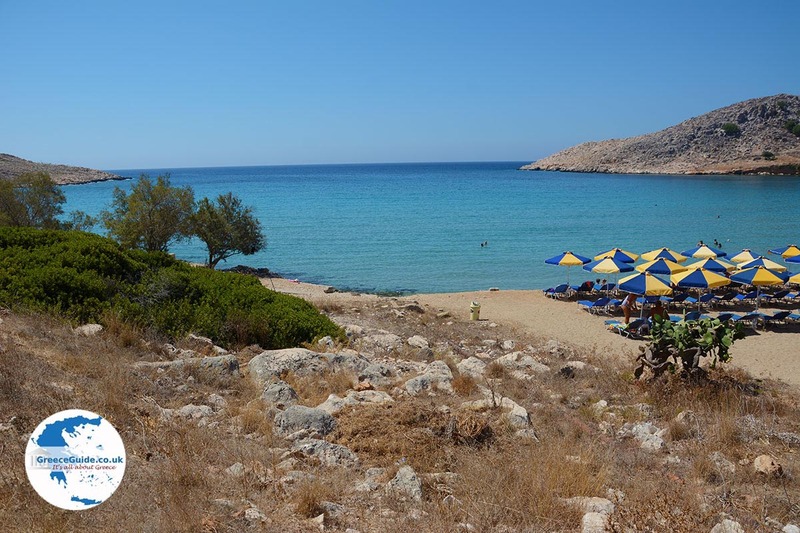 The deserted beaches of the southern part of the island (accessible only by boat). 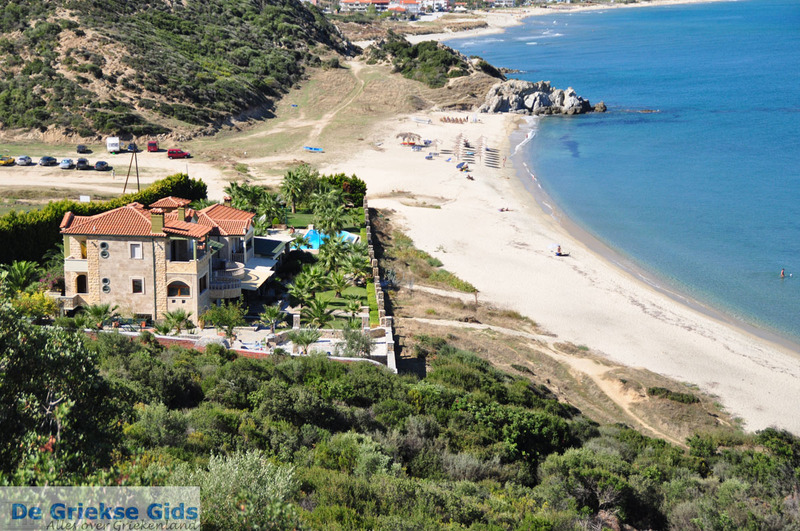 The sandy Pantamos beach, a couple of hundred meters from Nimborio (you’ll find a good restaurant and a beach bar there). 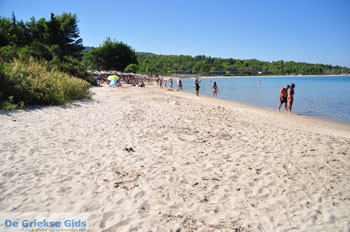 The beaches Kania and Dio Giali in the north. 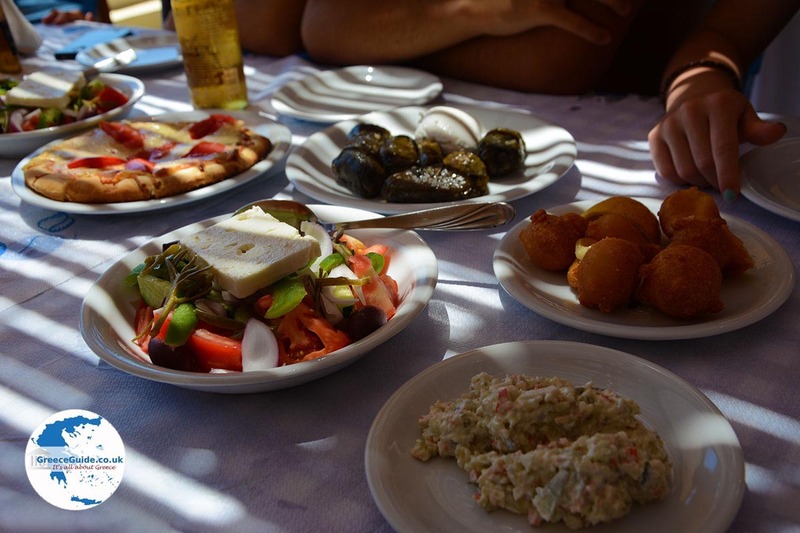 - On August 29, the feast of Aghios Ioannis Alarga with a liturgy (church service) and public feast. 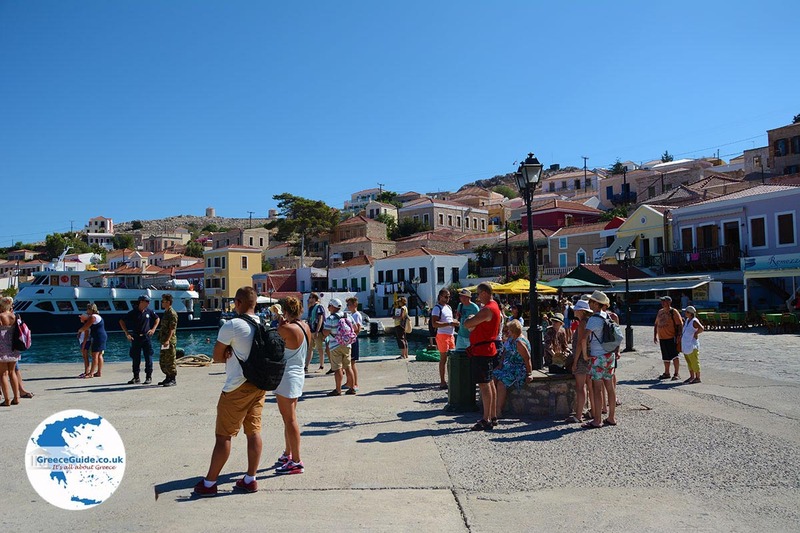 Halki is connected by ferry with the ports of Piraeus (Athens), Anafi, Karpathos, Kasos, Kos, Nisyros, Rhodos, Santorini and Tilos. 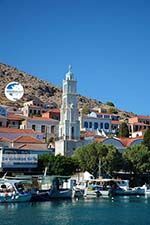 Halki: Where on the map is Halki located?